The avocado is a very shallow rooted plant with over 60% of its roots located in the upper 3 inches of soil. 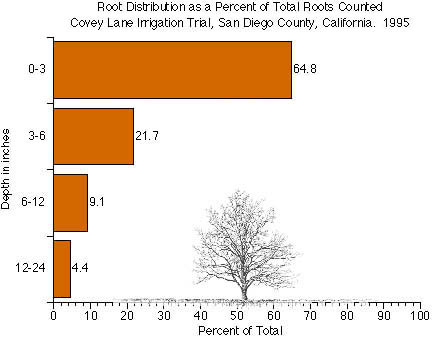 This agrees with information gathered at the Corona Foothill irrigation trial in 1991 and with previously published data (see below). Samples were collected at 36 inches from the base of the tree and the emitter. At each depth, the soil auger was emptied into a labeled plastic bag. Back at the lab, samples were emptied into large white plastic buckets and a forceful stream of water used to separate the roots from the soil. Most roots are lighter than the soil and can be decanted into a 2.00 mm sieve. Using tweezers, roots are picked off the sieve. Dead leaves and other material is discarded. Using a 0.42 mesh sieve, the roots are rinsed with De-ionized water and placed on a plastic sheet. Roots are carefully placed so as not to touch each other or overlap. The plastic with the roots and a ruler is than placed on a flatbed scanner. NIH Image for Macintosh is used to acquire the image. After Thresholding, the scale is set using the ANAYLZE command and the scanned ruler.  The ruler image is then erased from the image. Using the ANALYZE PARTICLES command gives us a root count and root perimeter measurement (from which you can calculate root length).